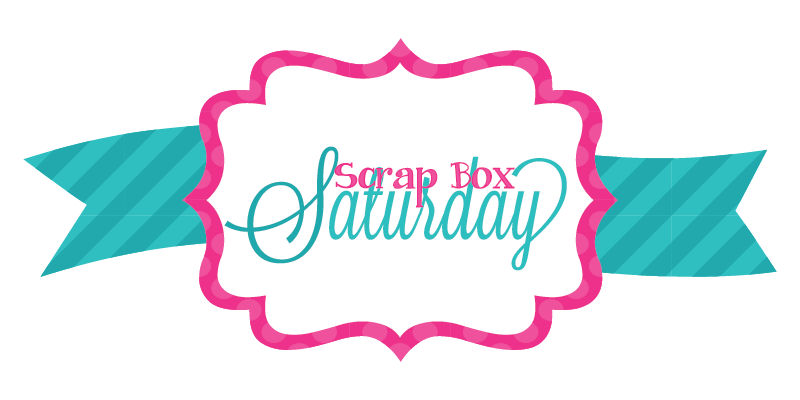 Happy Saturday :D And welcome to the first Scrapbox Saturday!! Today I am actually in a car with my family heading to Lake Tahoe! We'll be stopping in Napa first to see my Aunt and and Uncle, then on to Tahoe tomorrow, I'm so excited!!! But anyway, you wanna hear about the scraps ;) Every Saturday I will be sharing a project with you that I created using my SCRAPS! I know we all collect TONS of scraps, and it's pretty hard to get ourselves to actually use them. 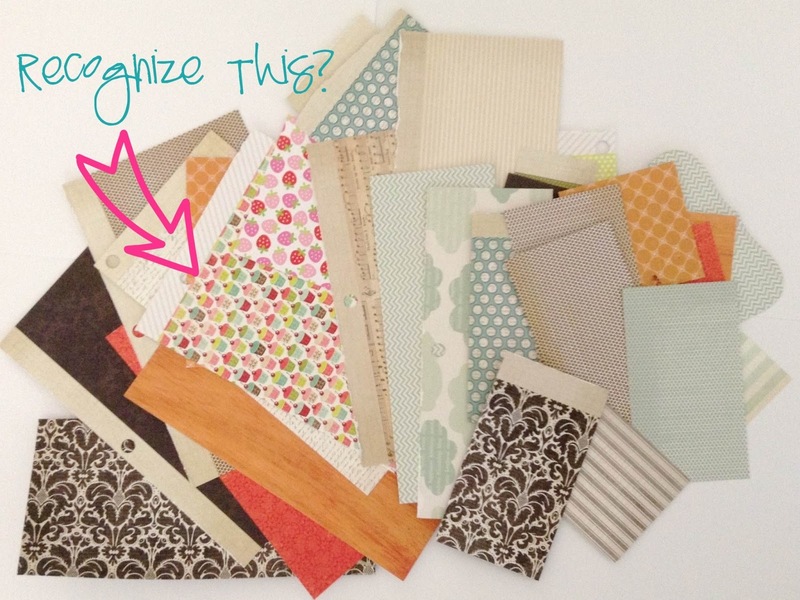 I hope that I can motivate you to reach in to that scrap box and recycle those old scraps! I should note that I have a LOT more scraps than this. 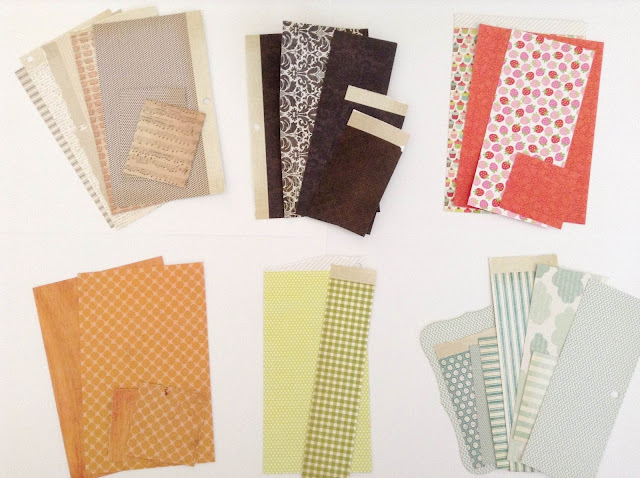 So many that I was forced to organize them somewhat, so this is a handful from my 6x6 patterned paper scrap box. 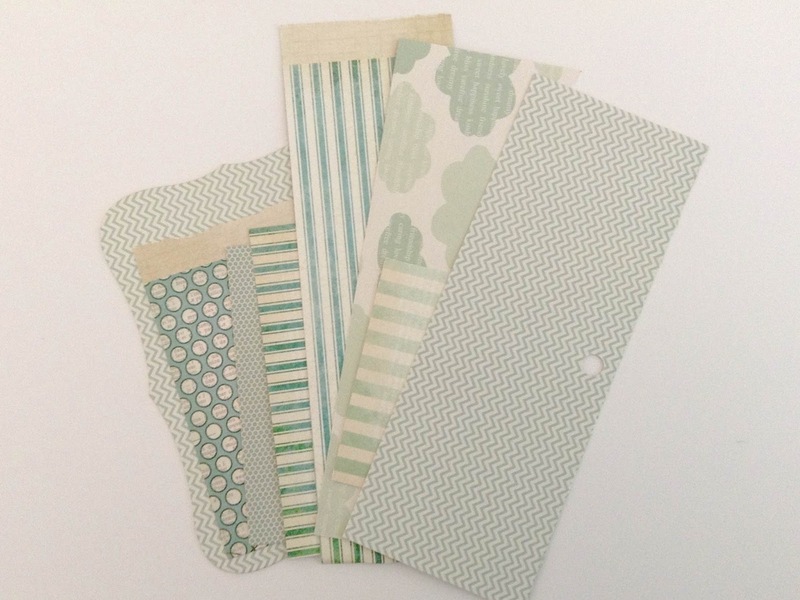 Also, recognize that cupcake paper? Yep, that's the paper I used on this week's Throwback Thursday card. That's an OLD scrap! Ready to see how I put these scraps to work? I cut the scraps into 1 1/4 squares and arranged them in a grid. As you can see, I left one space blank for my sentiment. 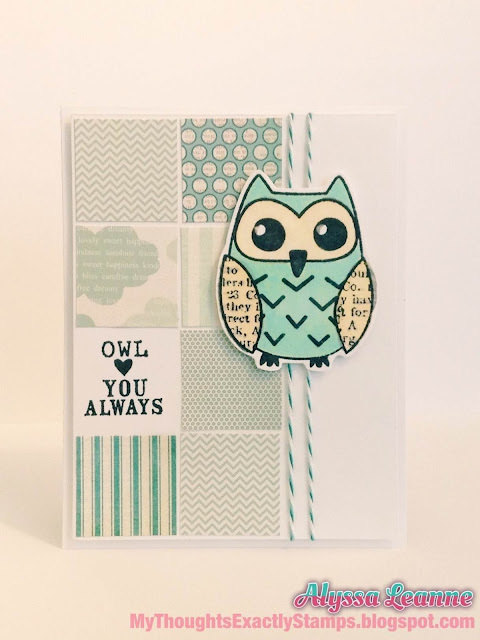 This adorable little owl and matching sentiment is from the Unity Stamp Company You Always Itty Bitty. The gorgeous twine is Trendy Twine's Tickled with Teal. Alright sweet friends, have a fabulous weekend!! DON'T FORGET!!! You only have until MONDAY to enter my HUGE giveaway!! Enter HERE! Awesome card with your scraps Alyssa! LOVE how you separated them for your project! I have such a huge container that I tend to spend more time searching for paper then it actually takes to make my project :( Have to organize those for sure! Love this! You have cool scraps. My scraps aren't this exciting.